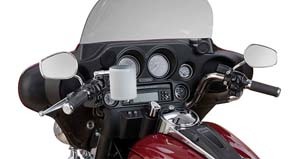 Handlebar Mount Bracket for 7/8", 1" & 1-1/4"
CH Type Universal Drink Holders: An accessory capable of holding drink containers, beverages, cell phones, sunglasses, radios and keys. 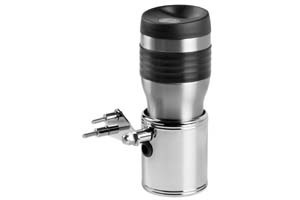 It features a separate inner insulationg lining that detaches easily from the stainless steel beverage/accessory holder and chrome-plated mounting hardware. 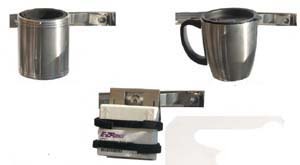 Cup finishes in stainless steel, chrome, black or leather wrapped. 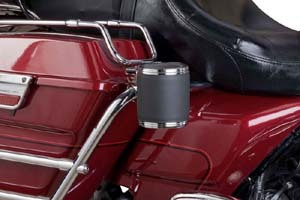 Foam inserts accommodate 12 on. cans, 16 and 20 on. bottles. 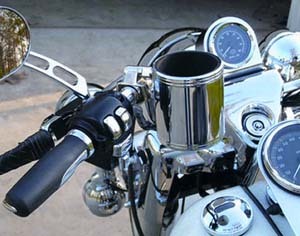 Fits most 7/8", 1" and 1.25" handelbars or Harley switch housings. 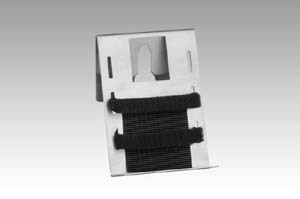 Comes individually boxed with an Allen wrench for easy assembly. 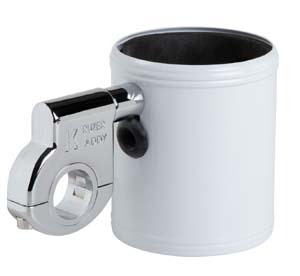 These models also have a rigid mount option which will not allow the cup to pivot per instructions. CH14: 20 oz. 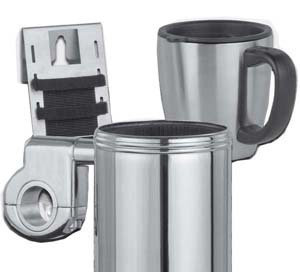 cup, keeps beverages hot for 2-3 hours, cool for 4 hours, open/closes at the push of a button. 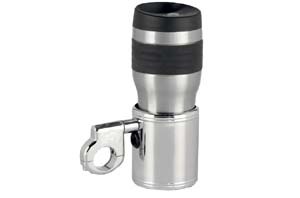 CH15: Includes 1 Chrome Cup and Bracket, with 1 Travel Cup. 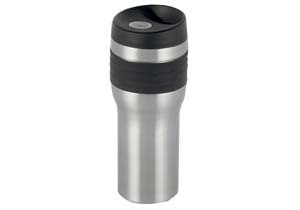 Travel Cup details: 20oz. 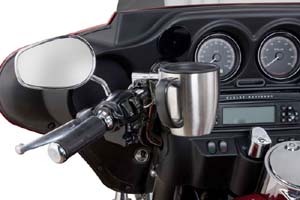 cup, keeps beverages hot for 2-3 hours, keeps beverages cool for 4 hours, opens/closes at the push of a button. Includes CH-20 and CH-14. 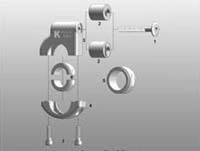 CH155: Similar to above but includes CH-50 and CH-14. 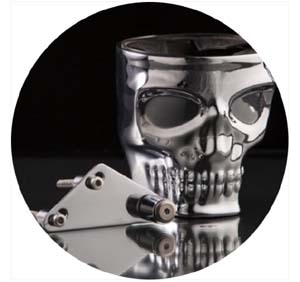 CH25SK: Our Skull Drink Holder with it’s OEM look features the mounting system which allows for rigid mounting. 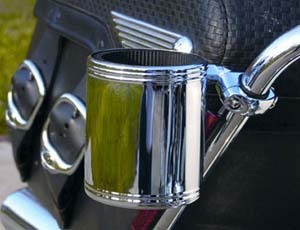 Fits into the brake or clutch perch of many styles of motorcycles. Allows for Optimum tank clearance. 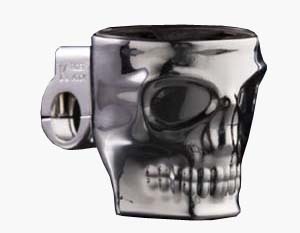 Comes with Metric and American Standard bolts. 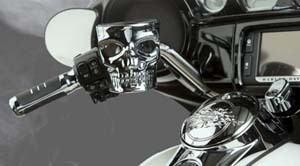 2.5 mm Aluminum Alloy in Triple Plate Chrome. 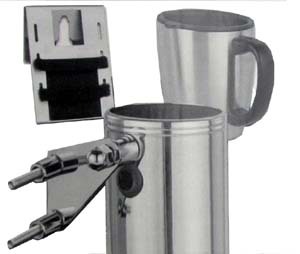 Rubber drink retainer with Chrome spring retainer. 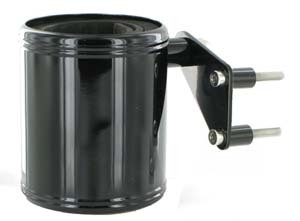 Fits: Kustom Clutch or Brake Perch Mount with bolt vertical spacing center to center at 1 1/16” to 1 5/8” apart to accept included Metric and American Standard bolts. 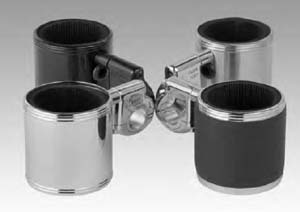 Harley-Davidson: All 1982-2015 Model Clutch or Brake Perch Mounts. Honda: All VTX 13000/1800 Models, Shadow 750 Aero, Ace & Spirit, Shadow 1100. 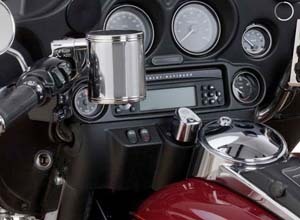 All GL 1500, GL 1800, F6B & 2014 and 2015 Valkyrie. Indian: All 2014- 2016 Indian Models. Kawasaki: All Vulcan 900 Models, Vulcan 1500/1600 including Mean Streak, all Vulcan 2000. 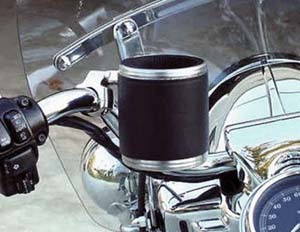 Suzuki: Boulevard M/50/C90/M109. 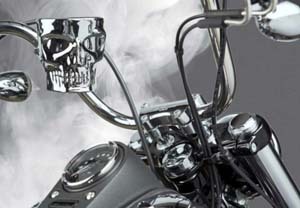 Yamaha: All Road Star & Warrior Models, All V Star Models and All Venture Models. 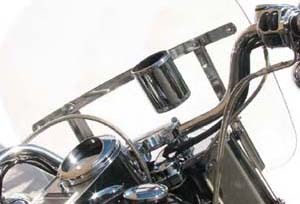 CH75SK: Similar to above but fits 7/8”, 1”, or 1 ¼” handlebar. 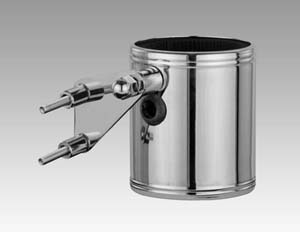 2.5 mm Aluminum Alloy in Triple Plate Chrome. 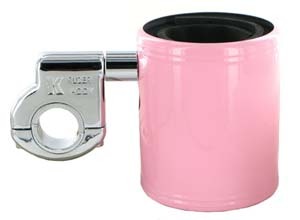 Rubber drink retainer with Chrome spring retainer.